Working with Bigcommerce to develop and run your online business? Scout Buffalo Web Design can help you with that too! Our main focus is always to help our clients grow their sales through smart design, simple navigation and powerful functionality. Built to your specifications, we create outstanding looking professional websites that will help grow your business. We keep you in constant communication so you know what is happening with your project at all times. Whether you are looking for a brand matching eCommerce website to compliment an eBay store or are building a standalone eCommerce website we can help! We have worked with a lot of eCommerce platforms and we beleve Bigcommerce is the best solution for the majority of eCommerce sellers, it is easy to setup, easy to work with and really helps sellers sell! Hosted solution - you don't need to setup a server! Scout Buffalo offers fully responsive Bigcommerce website design as an additional option. Available for all Bigcommerce design packages; the design is built in an entirely different way. We start with the mobile design first and build the desktop version from there. This means there are no unnecessary features in the desktop version and mobile visitors have a similar experience to desktop visitors. 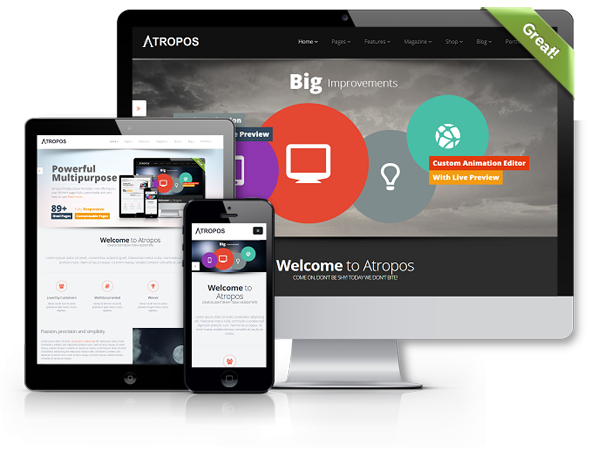 A responsive website changes size, layout and elements depending upon the size of the device used to view it. Elements will move position, multi column designs will move to a single column format on smaller displays and buttons will become larger for touch navigation. The difference between an adaptive website and responsive is that an adaptive site loads a different version for mobile customers, where as a responsive site loads the same content but displays it differently.